Take a moment to learn more about the highly skilled veterinarians behind the Animal Clinic of Billings. Save time in the waiting room by filling out important forms from the comfort of your own home. 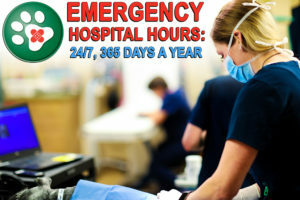 It is scary when you have a pet emergency, but our experienced staff is available to help you & your pet 24/7. 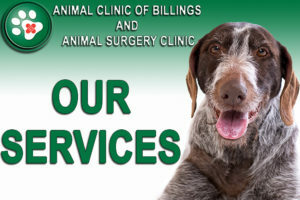 The Animal Clinic of Billings is a small animal veterinary hospital centrally located just north of Grand Avenue at 1414 10th Street West. 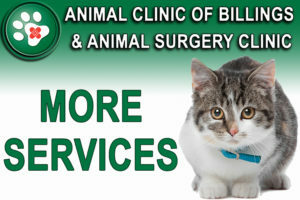 The Animal Clinic has been caring for companion animals since its founding in 1981 by Ken Brown, DVM. Our patients consist primarily of dogs and cats and we welcome rabbits, ferrets, and other pocket pets. In addition to routine veterinary procedures we offer many specialized surgical procedures including orthopedics, advanced dental care, and cosmetic surgery. We are open seven days a week (Monday-Sunday) to serve you and your pet. Even after taking precautions, accidents and illnesses can still happen. 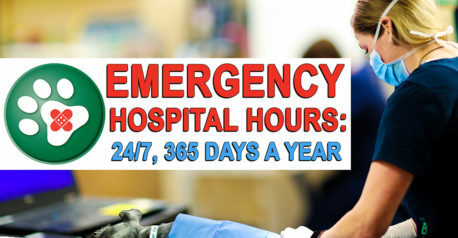 At the Animal Clinic of Billings, emergency and critical care services are available 24/7 throughout the holiday season and year-round to help you and your pets though any situation that may occur. Thank you for browsing our website. Here you can learn about our practice, request a prescription refill online, and contact us 24 hours a day. You can find detailed information on all of our services, learn more about our veterinarians and support staff, save waiting room time by filling out forms in the comfort of your own home, and view our in-depth library for information on diseases, infections, procedures, veterinary recommendations, home pet care, behavior issues and much more. Call and speak with one of our receptionists to schedule an appointment for your four-legged friend today and receive a 20% discount on any canine rehabilitation treatment. If your dog or cat has a broken leg, a broken back or some other severely broken bone or fracture, our orthopedic surgeons at the Animal Clinic of Billings and Animal Surgery Clinic are here to help! 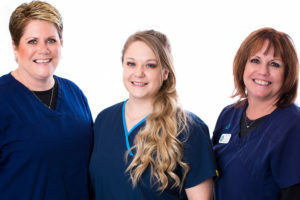 Many of the surgical procedures performed by Dr. Brown and Dr. Sherburne at the Animal Clinic of Billings and Animal Surgery Clinic on any given day can be among the most advanced and cutting-edge veterinary surgical procedures. Certification to perform many of these operations requires years of specialized training after veterinary school and specialized equipment. Learn more about our orthopedic surgery procedures and services on our ORTHOPEDIC SURGERY PAGE HERE. Many dogs and cats will have to undergo surgery at some point in their lives. As a pet owner, you want your companion to receive the best possible surgical care in a state-of-the-art, safe and comfortable environment. At the Animal Surgery clinic of Billings, we pride ourselves on making every procedure as safe as possible, using our state of the art monitoring equipment and the combined years of experience of our doctors and technicians. Eye Enucleation – removal of the eye, in cases of trauma or painful/blind eye, as in end-stage glaucoma. Pets actually adapt quite quickly to enucleation surgery.